Bangalore’s IT boom has caused the domino effect of a thriving real estate industry seeping into the bordering localities of the main city. Suburban areas like Whitefield and Sarjapur have become a hot destination for first time home buyers due to the plethora of benefits it has to offer. Let’s take a look at a few of them. Whitefield is connected to the major hubs of the city through the arterial highways of Whitefield Road and Varthur Road. These roads cross through the neighborhoods of Mahadevapura and Marathahalli providing seamless connectivity to all the residents of Whitefield. With such state-of-the-art roadways, your daily commute to work will be more therapeutic than strenuous. Apart from impeccable roads, Whitefield also has a fully-functional railway station located in the Bangalore – Chennai highway. Additionally, the extension of the Namma Metro Project will connect Byappanahalli with Whitefield over a magnificent stretch of 13 stations. To top it all, Whitefield’s proximity to Bengaluru International Airport has made it the top investment destination for business travelers. Whitefield has played a huge role in the IT boom of the city with top IT brands and industrial giants setting up shop here. This region is scattered with a wide range of tech parks giving rise to a plethora of job opportunities. Due to this, Whitefield has been constantly attracting working professionals and graduates, paving the way to a thriving property market. Rental rates have been fast appreciating here, making it an ideal time to invest and enjoy high returns. Apart from good job opportunities, living in close proximity to your workplace is always a good idea. Not only will you cut down on hours of travel, you will also be energized and fresh at home, ready to spend quality time with your loved ones. It is a known fact that opting for a burgeoning locality is the best practice when it comes to real estate investment, and Whitefield tops the list of suburbs to buy a property in. It checks the three major factors of investment – affordability, availability, and appreciation. Property prices in Whitefield are relatively low now, but with the proposed metro and infrastructure improvements, they are bound to go up. 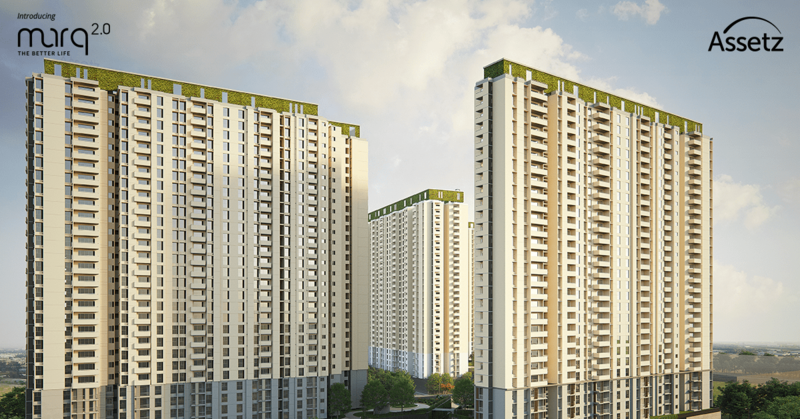 This means, investing in Whitefield is one of the best and lucrative options right now. When a neighbourhood offers seamless connectivity, thriving social infrastructure, and fast appreciation, it only makes sense for it to be peppered with the best residential and commercial projects. From thoughtfully designed apartments and penthouses to quintessential villas and compact houses, you can find all kinds of projects in Whitefield that you can personalise with top home décor tips. Apart from the variety in types of projects, investors can also choose from a plethora of leading property builders here. If you are looking for apartments in Whitefield, make sure you head out to Asset Property Group’s Marq. This gated community offers world-class 2 and 3 BHK apartments with global facilities and amenities. The development also has an upcoming project – Marq Phase 2 – that offers well-designed luxury apartments with a good balance of natural habitat in an urban environment. To add to that, you also get the promise of top-notch construction and impeccable finish offered by Assetz Property Group. Buying a branded property is one of the golden rules of real estate investment and the nature-centric design and construction provided by the Assetz Property Group is a testament to that. These benefits are proof that Whitefield is one of the top destinations for real estate investment in Bangalore. Visit the Assetz Property Group today and get one step closer to your dream home in your dream neighbourhood.